No big deal. Its just about the most exciting thing I have ever accomplished in the kitchen! 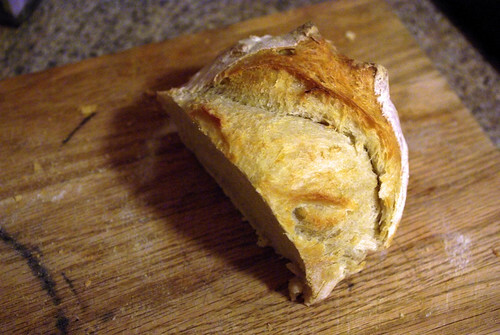 The satisfaction of a really tasty loaf of bread is just tops. And, without sounding too full of myself, I have been making some really tasty loaves of bread. 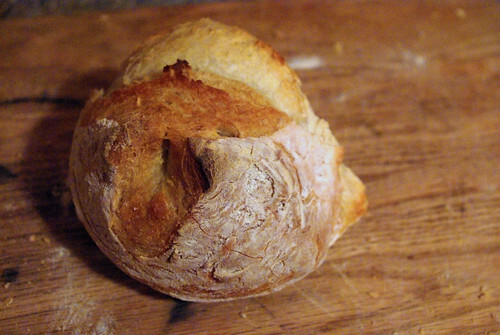 The inspiration and instruction came from the book "Artisan Breads in 5 Minutes a Day". And while I clearly have a lot of practicing to do - my breads tend to have strange protrusions where the pictures in the book show beautiful round loaves - I don't think anyone around here is complaining. The most excellent aspects of this bread are the crusty crust; the airy, chewy crumb (look at me using the technical terms, oh my! 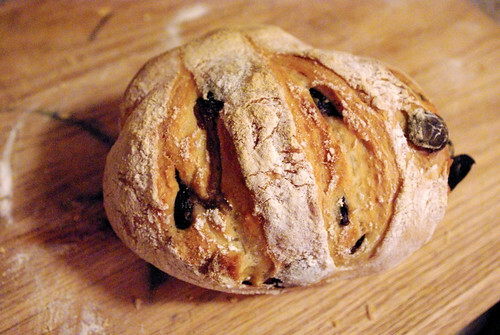 ); and the way the loaf crackles when its taken from the oven. The frustrating part is how very simple it all is: why did I take so long to understand this? A flour "coat", steam, a ceramic stone, and very high heat seem to be the secrets, in case you were also unaware. 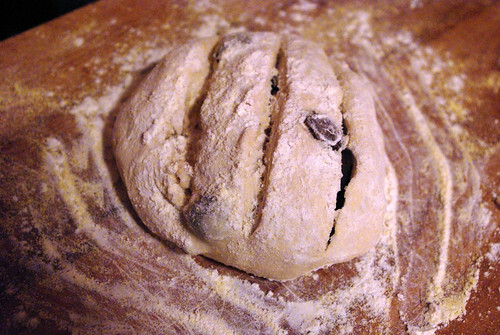 So far, I have used only the basic recipe in the book, adding some kalamata olives per their instructions on occasion. I fully intend to try some more (bagels? nice soft sandwich bread? yum!) soon. I just love the first recipe so much!